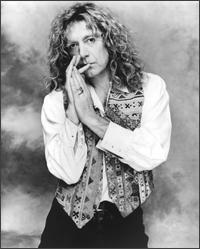 Robert Plant er en aktiv herremann. Som vi kunne fortelle i fjor høst, har Led Zeppelin-sangeren vært i studio i Nashville og laget plate med Alison Krauss og T-Bone Burnett. En planlagt oppfølger til 1984-EPen med retrobandet The Honeydrippers er imidlertid ute av bildet, i kjølvannet av bortgangen til Atlantic-sjefen Ahmet Ertegun. Plant tells Billboard.com that he and Ertegun began talking about the project -- a follow-up to the platinum 1984 EP »Volume One,« which featured Jimmy Page, Jeff Beck and Nile Rodgers, among others -- after Plant was part of a tribute to Ertegun last June at the 40th Annual Montreux Jazz Festival. However, Plant is resurrecting the original lineup of the Honeydrippers -- which included guitarist Robbie Blunt, who played on Plant's first three solo albums -- for a »one-off« Valentine's Day charity gig in Dudley, England, to raise money to pay for brain cancer treatments for a mutual friend, Jackie Jennings.